Three weeks of summer programming led by Montessori certified teachers are offered for children ages 3 to 9 years of age. Primary Children continue their school experience in their explorations of the Montessori classroom, enriched by nature study, arts and crafts, water play, and many more fun summer activities. 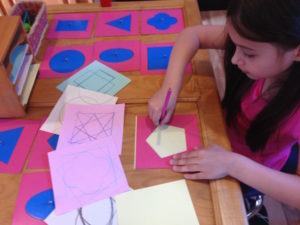 Lower Elementary students have the opportunity to experience project-based learning with focused effort in the Montessori classroom, with additional craft projects, nature studies, science experiments and fun summer activities. Group activities take the lead and individual accomplishment is nurtured.